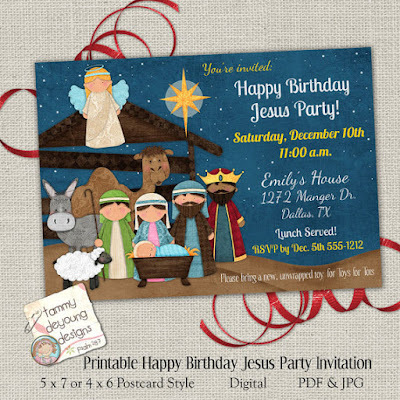 if you're hosting a Christmas event next month, you might want some help with invitations! Here are a few I've designed that are ready for your custom information! Just download, print and send! OR skip the trip to the post office and send through email! 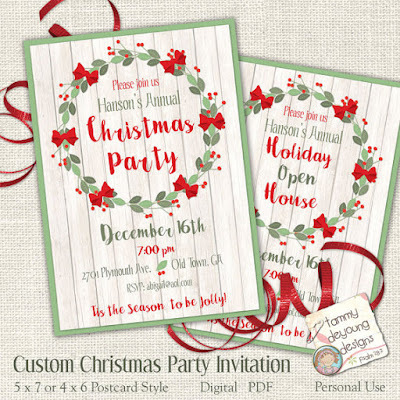 Here's a very pretty and versatile invite for Open Houses or any Christmas Party or Holiday dinner! 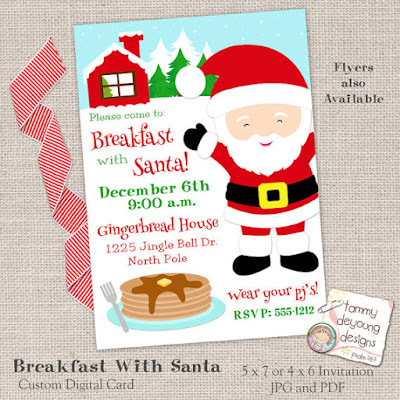 And who doesn't like Breakfast with Santa! I want some pancakes NOW! 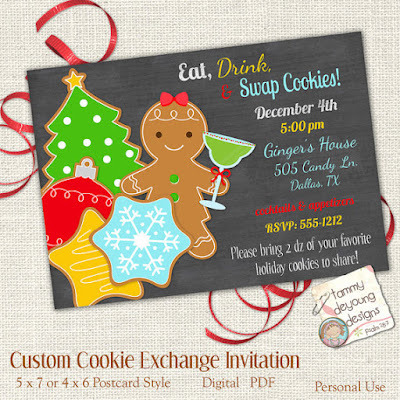 Having a cookie swap, exchange or cookie decorating party? 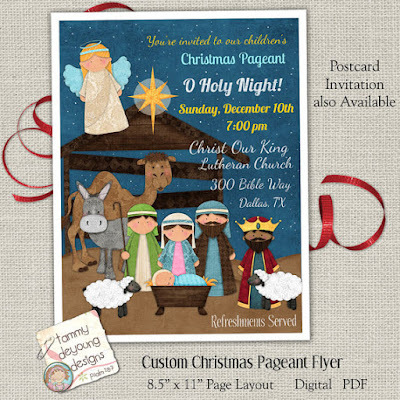 Don't for get those church flyers for your Christmas Pageant or special Christmas Eve services! These also come in a smaller postcard size. 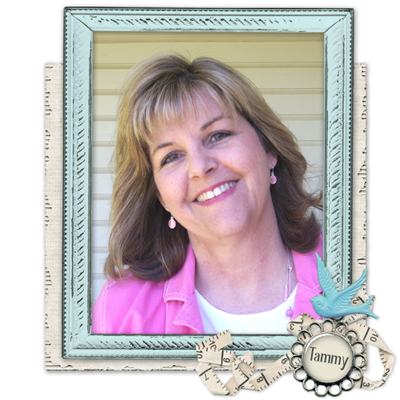 Host a birthday party for Jesus! Invite the kids and celebrate the King! Maybe this have given you some ideas of a fun event you can host! 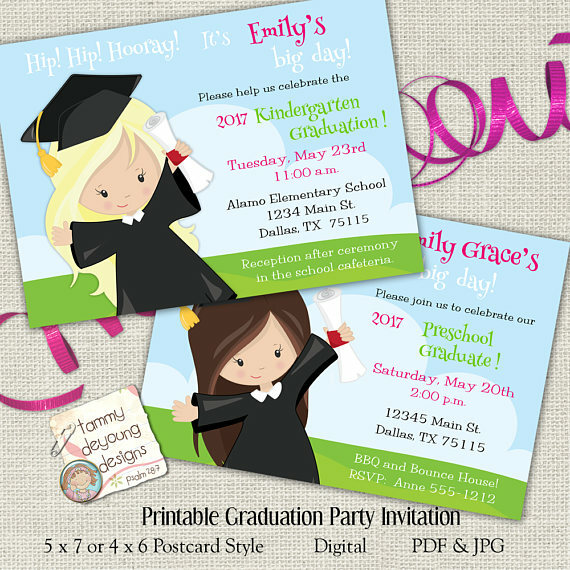 Let me know if you need any help designing your invites and check our my Etsy shop for matching party favors and decorations! This is a test to see how comments works.